It's been one of those days. We've all had them. I've had them before, but I've had such smooth sailing of late, it was a real shock to have a slow or no progress day today. A relatively easy project I was making with the fabrics pictured above turned into trouble. What to do when a project goes bad? Well, I'm going to try to be helpful to someone else and hope that sharing some of the things I've learned will help her to achieve good results with her project. Paula C. wrote me a little while ago asking for some advice. "I have been looking for a sweater coat, but can't find what I want. I had an ah..ha moment and said to myself..make it." At this point, Paula is considering turning a sweater knit blanket into a sweater knit coat. She even sent me a picture of the blanket. 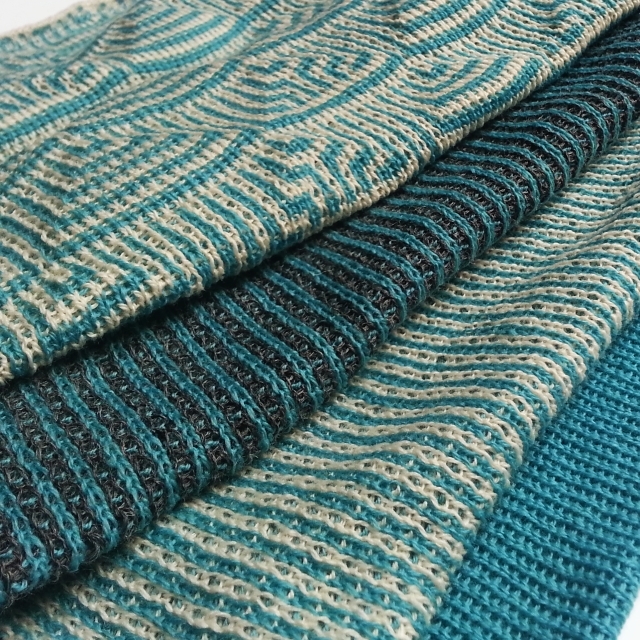 Have you chosen a pattern yet? Be sure to choose something with simple lines like BurdaStyle's Knee Length Coat 12/2010 #101 (and you can omit the pockets). 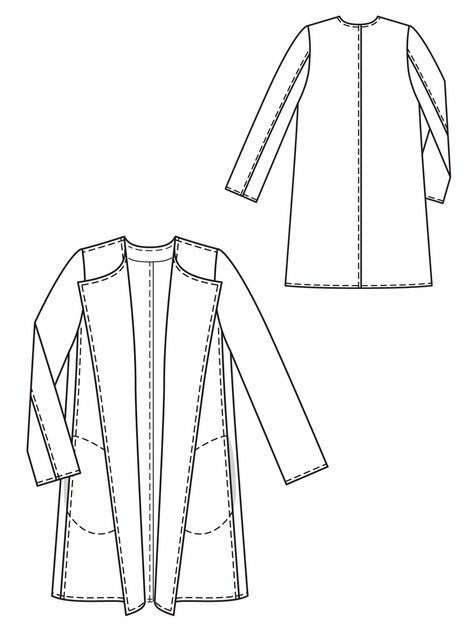 When laying out your paper pattern on the fabric, place the pieces so that the direction of greatest stretch in the fabric goes sideways across the coat and around your body. If you download the available PDF instructions, you'll see that there are pattern pieces for front and neck facings. Though I originally thought a binding would be best to finish the cut edges, you might consider a facing instead. If you go that way, I recommend a lightweight jersey, maybe rayon, for the facing. I think the easiest way to deal with facings and knits is to use the paper pattern pieces to cut the facings out of fusible interfacing first. Fuse the interfacing to the lightweight jersey. Next, cut out the jersey pattern pieces using the fused interfacing as your guide. If you end up using this pattern, Paula, remember that you won't be using the suggested fabric. Sometimes this works, like when I used lacy, unstable knit to sew a Renfrew Top, when stable knits are recommended. Other times, when you change fabrics, you get surprises like what happened to me earlier today. Getting all settings on your sewing machine and serger (if you use one) correct before you start is important. Also it's good to figure out edge finishes, before you start. Here's a link to the bound edge I use, in case you decide to use a binding. If you finish your seams with a binding, be sure to use a thin, stretchy fabric. All the best with your project, Paula! I hope I've helped a little. You're always full of the most useful information!